These are the last 2 pages in my art journal, I am going to have to buy another one - or choose an old book for a redo - not sure yet what I'll decide. After I gessoed the pages and dried them, I did some background spritzing with Lindy's Stamp Gang sprays, dried between colors, found some old stamps and then colored the flowers and a few of the stalks with Inka-Gold colors. 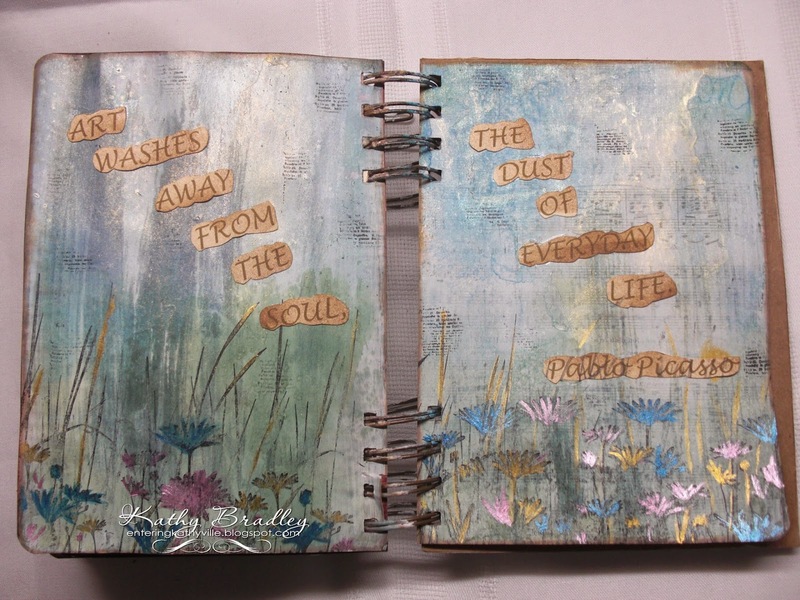 I typed up the words to a quote I like and distressed it with Tim Holtz Vintage Photo, as well as the edges of the journal pages. Very pretty, Kathy. I think I see an old book in your future.